Last week I was interviewed by the Food Monsters a radio show on K Breeze Radio, hosted by Dom and his co-host Priya. I had not been interviewed on radio before so it was nice to be interviewed by someone that I know. I talked about juggling mommy hood and my business, working with brands and #TeamHennessy. Also, on the same show was Ameer Jumabhoy who is an international polo player and model. 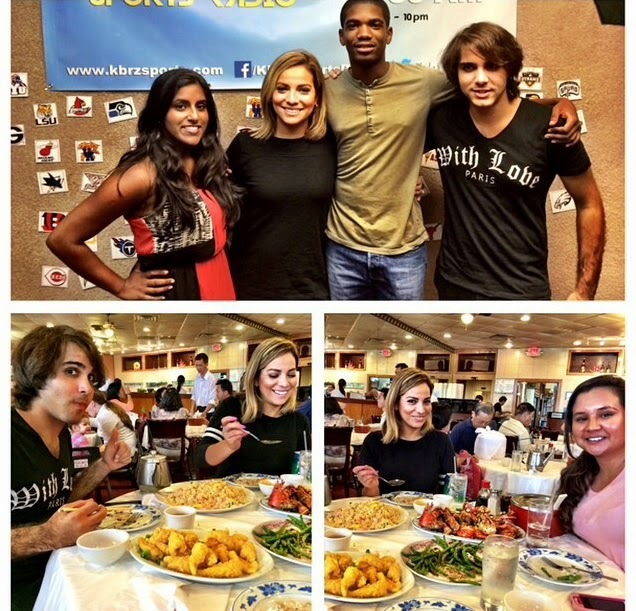 After the interview, we ate at one of my favorite asian "spots" in Houston and the lobster was to die for!